A fight against the Old Regime and beginning of the liberal revolution. People in Madrid reacted against the French invasion on the 2nd May 1808 starting the uprising. It spread to other cities and the War of Independence or Peninsular War began. The Spanish army was defeated and disorganized so guerrilla warfare was a good solution in the countryside to stop French advance. 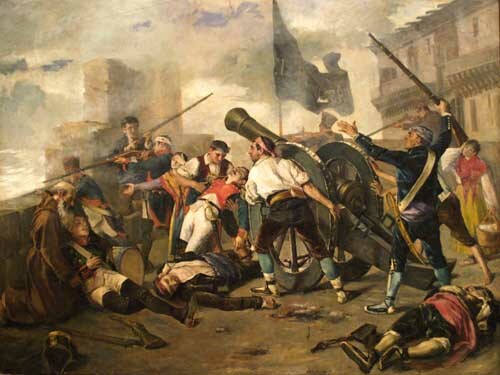 In the first moments French advance was stopped by resistance in cities such as Girona, Valencia, Zaragoza and Cadiz. 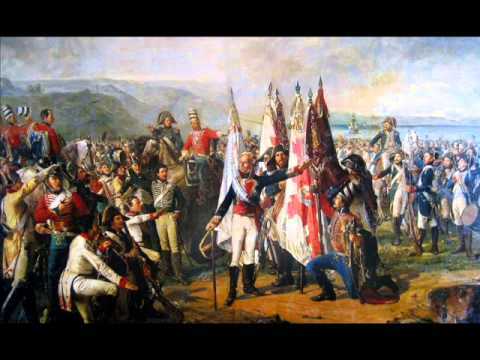 The French Army was defeated at the Battle of Bailén and Napoleon crossed the Spanish border to accomplish the total control of the country. From 1812, Napoleon left Spain as the Russian campaign was stopped. 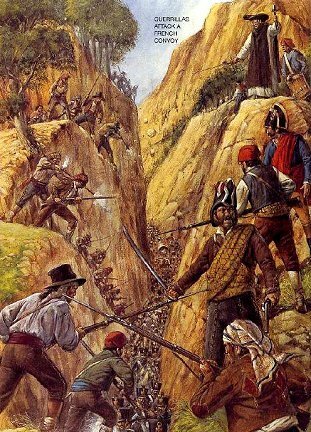 Then the British Army lead by Wellington from Portugal joined the Spanish army to defeat the French at Arapiles, Vitoria and San Marcial. Napoleon retreated from Spain, reestablished Ferdinand VII and released the Spanish Royal Family after signing the Treaty of Valençay in 1813.